A few weeks ago as I, Trek4PTSD founder Raul, was driving through Warner Springs, California (PCT miles 109.5 and 111.4) began to get very emotional. But I kept driving and watching for hikers. I saw a young hiker leaving the Community Center and offered a ride. Not paying attention to my exact location and never having known where the Community Center was at, I offered him a ride to the trailhead. A few seconds into the ride we saw another hiker and he mentioned that he might be on the trail. That is not possible, I thought to myself, after all the only time the trail is visible from the road is immediately after the trailhead. After a quick assessment of our location I realized that indeed we had just passed the trailhead and I really did not need to give him a ride. But he appreciated it and so did I. The young Army veteran thanked me for the ride and was on his way. After I dropped the young veteran off, I texted my wife. I told her I was about to cry. In response, she called me immediately. “What is wrong?” were her first words to me and I could not hold back the tears. My response was one of uncertainty since I did not know what was wrong. All I knew was that it had to do with the PCT and the fact that I just drove by Warner Springs. She responded by telling me that “it[the PCT/trail] is part of you and you need to get back out there.” The sentiment was heard, but finding the time is difficult with so much to do before I retire from the Marine Corps at the end of the year. Our conversation was short and I soon got over the tears, but not the emotion. This event was a trigger, and some parts of my PTSD, anxiety and depression started to come back. Over the next couple of weeks I watched “Wild” and “A Walk in the Woods”, again. I started watching hiking videos on YouTube again. I spent more time on the PCT pages on Facebook. And I teared up along the way. My love of hiking had not diminished. However, I understood that due to obligations, family issues, work and my impending retirement that the trail had to work. For almost two years I had suppressed my need to just walk in the wilderness. On that day in Warner Springs all of the bottled up yearnings to hike exploded. I needed to get back out, it was just a matter of finding the time. A week later I looked at the fire closures and found that the section between Hwy 74(Paradise Café) and Idyllwild was passable to some degree with a detour. The detour was no problem, I would still hike the section. Now to find the time. With Memorial Day a little over a month away, it seemed like the perfect time. And so it was decided. This was my emotional awakening, and with it a new found sense of purpose. The Trek4PTSD would continue stronger than when it first began. More efforts to raise awareness, more content to bring to the masses, different ways to get the information out there. Awareness starts with one step and that was my first step on this new phase of the Trek4PTSD. Mental Illness is something we all need to talk about, specially in this day and age. It is my goal to do so even if I have to stay up at night and work 3 jobs to do it. 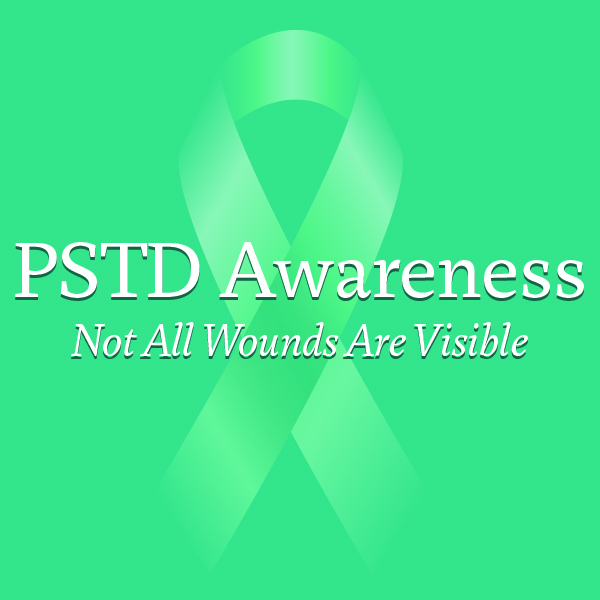 Help me raise awareness, help me help those who battle their demons in silence, help me show the world what PTSD and Mental Illness is. Next postYou Are Never Alone! Suicide is NOT an Option!